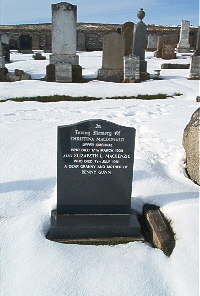 Christina Macdonald of Upper Smerral died 17th March 1939. Elizabeth L Mackenzie died 7th July 1981. A dear granny and mother of Benny Gunn.